Capitals take 2-0 series lead over Hurricanes, Predators, Bruins, and Avalanche tie their respective series, Nikita Kucherov receives a one-game suspension, an update on Connor McDavid, and more in today’s NHL morning coffee headlines. NHL.COM: Brooks Orpik’s overtime goal gave the Washington Capitals a 4-3 victory over the Carolina Hurricanes and a 2-0 lead in their opening-round series. 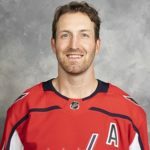 Orpik became the oldest defenseman in NHL history to score an overtime playoff goal. Alex Ovechkin, Nicklas Backstrom, Evgeny Kuznetsov, and T.J. Oshie each collected two points for the Capitals. Hurricanes winger Micheal Ferland was ejected during the second period for a hit to the head of Capitals forward Nic Dowd. Hurricanes defenseman Dougie Hamilton’s elbow to the head of Kuznetsov will be reviewed by the league’s department of player safety but it’s unclear if it’ll merit a suspension. SPECTOR’S NOTE: The Capitals haven’t had an easy time of it with the Hurricanes, who overcame an early 2-0 deficit to force the extra period. They lack the Capitals depth in experienced talent but they’re a plucky hardworking bunch with a bright future. An overtime tally by Craig Smith enabled the Nashville Predators to edge the Dallas Stars 2-1, squaring their series at a game apiece. Rocco Grimaldi also scored for the Predators while Jamie Benn netted the Stars’ only goal. Dallas goaltender Ben Bishop made 40 saves. The Predators skated without center Brian Boyle (illness) and lost winger Wayne Simmonds after he took a shot off his left knee. SPECTOR’S NOTE: Bishop was outstanding in this game and deserved a better fate. This performance is but one reason why I believe he should win the Vezina Trophy this season. No word yet on Simmonds’ status for Game 3. Brad Marchand had a goal and an assist and Tuukka Rask kicked out 30 shots as the Boston Bruins downed the Toronto Maple Leafs 4-1 to tie their series 1-1. The physical contest took a toll on both clubs. Bruins defenseman Torey Krug left the game in the second period following a hit by Leafs blueliner Jake Muzzin. Leafs center Nazem Kadri, meanwhile, will have a hearing today with the department of player safety and faces a suspension following a match penalty for cross-checking the head of Bruins winger Jake DeBrusk. Bruins winger Marcus Johansson missed the game with the flu. SPECTOR’S NOTE: The Bruins ratcheted up the physical play in this one and effectively neutralized the Leafs speed. Kadri was obviously still angry over a knee-on-knee collision with DeBrusk in the second period and allowed his emotions to once again boil over, just like in last year’s series between these two clubs. That time, he got a three-game suspension. He could get more for his latest infraction. 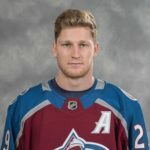 The Colorado Avalanche evened their series with the Calgary Flames as Nathan MacKinnon’s overtime goal gave them a 3-2 victory in Game 2. Mikko Rantanen collected two assists while Philipp Grubauer made 35 saves for the Avalanche. The Flames’ Sam Bennett also had two assists. SPORTSNET: Tampa Bay Lightning right wing Nikita Kucherov received a one-game suspension for boarding Columbus Blue Jackets defenseman Markus Nutivaara in Game 2 of their opening-round series. Speaking of the Lightning, defenseman Anton Stralman (upper-body injury) is uncertain when he’ll return to the lineup. TRIBLIVE.COM: Pittsburgh Penguins center Jared McCann (upper-body injury) expects to be in the lineup for this afternoon’s game against the New York Islanders. The Isles hold a 2-0 lead in that series. EDMONTON JOURNAL: Oilers center Connor McDavid has a small ligament tear in his left knee and will begin rehab almost immediately. He’s expected to be good to go for training camp in September. Leafs defeat Bruins, Capitals down the Hurricanes, and the Flames blanked the Avalanche in Stanley Cup playoff action. Recaps and more in today’s NHL morning coffee headlines. 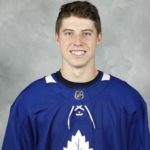 NHL.COM: Mitch Marner scored the game-tying and game-winning goals (the latter on a penalty shot) as the Toronto Maple Leafs defeated the Boston Bruins 4-1 in Game 1 of their opening-round series. It’s the first time the Leafs won the opening game of a playoff series since 2003. John Tavares had a goal and an assist for the Leafs. SPECTOR’S NOTE: Definitely a better start to this series for the Leafs compared to a year ago when the Bruins blew them out 5-1. The Leafs had the better of the play for most of this contest, especially after Marner put them up 2-1 on the penalty shot. The Washington Capitals jumped to a 3-0 lead and held off the Carolina Hurricanes 4-2 in Game 1 of their opening-round series. Nicklas Backstrom scored twice, John Carlson collected three assists and Alex Ovechkin tallied what proved to be the winning goal. Rookie Andrei Svechnikov scored both goals for the Hurricanes, who were making their first postseason appearance in 10 years. Speaking of the Capitals, they re-signed center Nic Dowd to a three-year, $2.25-million contract extension. SPECTOR’S NOTE: The Capitals’ special teams made the difference in this contest. They went two-for-four with the man advantage and killed off three Carolina power plays. Credit the plucky Hurricanes for not giving up after falling behind 3-0, they made a game of it in the third period before Lars Eller put it out of reach. Mike Smith turned in a 26-save shutout and Matthew Tkachuk scored twice as the Calgary Flames blanked the Colorado Avalanche 4-0. It was Smith’s first playoff game since 2012. SPECTOR’S NOTE: Smith showed the form in this game that powered the Arizona Coyotes to the Western Conference Final seven years ago. If he can stay healthy and maintain that high level of performance, it’ll erase much of the doubt about Calgary’s goaltending. The Flames also made the Avalanche pay on the power play, going two-for-five with the man advantage. NBC SPORTS: San Jose Sharks captain Joe Pavelski had some dental work done yesterday after taking a puck in the mouth during his club’s Game 1 victory over the Vegas Golden Knights on Wednesday. WINNIPEG SUN: Jets left wing Brandon Tanev (injured hand) could return to the lineup tonight for Game 2 against the St. Louis Blues. Blue Jackets rally to defeat Lightning, Islanders down Penguins in overtime, and Stars defenseman Miro Heiskanen’s record-setting performance highlight the opening night of the 2019 Stanley Cup playoffs in today’s NHL morning coffee headlines. NHL.COM: The Columbus Blue Jackets scored four unanswered goals (three in the third period) to overcome a 3-0 deficit to edge the Tampa Bay Lightning 4-3 in Game 1 of their opening-round series. Seth Jones tallied the game-winner while Josh Anderson had a goal and an assist. Game 2 goes Friday night in Tampa Bay. 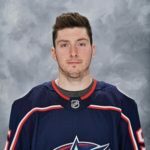 SPECTOR’S NOTE: The first period was all Lightning as they rolled to a 3-0 lead and appeared poised to run the Blue Jackets out of the building. Credit the Jackets for not rolling over as they turned things around in the second with a much better effort, forcing the Bolts into costly turnovers and defensive breakdowns, especially on Anderson’s game-tying shorthanded goal and David Savard’s Orr-like tally that preceded it. The Bolts were also their own worst enemies, doing a poor job protecting their lead and failing to play with the same level of intensity that they showed in the opening period. A breathtaking rush by Mathew Barzal set the stage for Josh Bailey’s overtime goal to give the New York Islanders a 4-3 Game 1 victory over the Pittsburgh Penguins. Barzal dipsy-doodled his way into a prime scoring chance with a backhander that clanged off the right post and right to Bailey who cashed in on the rebound. Isles goalie Robin Lehner made 41 saves and Jordan Eberle scored his first career playoff goal. Evgeni Malkin and Justin Schultz each had a goal and an assist for the Penguins. The two clubs clash again in Game 2 on Friday. Dallas Stars rookie defenseman Miro Heiskanen had a record-setting performance in his club’s 3-2 victory in Game 1 of their opening-round series against the Nashville Predators (Photo via NHL Images). SPECTOR’S NOTE: That was a great individual effort by Barzal in overtime. Looks like he handled the heat of his first career playoff game just fine. 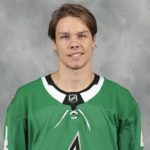 Dallas Stars rookie Miro Heiskanen made history by scoring twice in a 3-2 victory over the Nashville Predators in Game 1 of their first-round series. 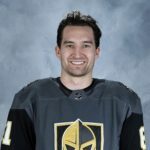 The 19-year-old became the youngest defenseman in franchise history to score a playoff goal and the third teenage blueliner in league history to have a multi-goal playoff game. SPECTOR’S NOTE: No nerves for Heiskanen in his postseason debut, playing like a poised veteran in this one. The Predators did themselves no favors with their special-team play, going oh-for-four with the man advantage and giving up a power-play goal. Brent Burns, Erik Karlsson, and Marc-Edouard Vlasic each collected two points to lead the San Jose Sharks to a 5-2 victory in Game 1 of their series with the Vegas Golden Knights. Evander Kane and Tomas Hertl each had a goal and an assist while captain Joe Pavelski scored the opening goal of the game with his face. He left the game but returned in the second period wearing a full-face visor. The two clubs meet again for Game 2 on Friday. Third-period goals by David Perron and Tyler Bozak enabled the St. Louis Blues to nip the Winnipeg Jets 2-1 in a physical opening game to their series. Blues goalie Jordan Binnington made 24 saves for his first career NHL playoff victory. Patrik Laine tallied the sole Jets goal. Game 2 goes Friday night in Winnipeg. Earlier in the day, Binnington had to address controversial tweets he made in 2013 and 2014 regarding women in burkhas and cab drivers who speak different languages. “I was a teenager and that’s what life’s about. You live and learn and you grow as a human so, you know, I’m just here to play a couple hockey games,” he said. League deputy commissioner Bill Daly released a statement that didn’t condone Binnington’s tweets but added there wasn’t any basis to address five-year-old tweets from a player who wasn’t part of the league at the time. TSN: Colorado Avalanche right wing Mikko Rantanen will return to action in Game 1 of his club’s opening-round series tonight against the Calgary Flames. He’d been sidelined since March 21 with an upper-body injury. Boston Bruins forward David Backes will be a healthy scratch for Game 1 tonight against the Toronto Maple Leafs. SPORTSNET: The NHL Player Association has filed an appeal on behalf of former Los Angeles Kings defenseman Slava Voynov over his suspension for the 2019-20 season and 2020 playoffs.